Thanks to the success of the 2017 edition again this year the Socage in Tour starts again. With the energy of our Italian Sales Manager, Andrea Gilberti, it is again possible to see and above all touch our ForSte 20D aerial platform. The Socage in Tour was born in 2016 with the idea of ​​creating an experience on field with one of our platforms bringing it directly to the rental company. “We at Socage come to visit you because we think that touching is the best way to choose”. The start date is scheduled for January 22 starting from Sicily to then go up the whole peninsula, the demands are already many and we are sure that it will become a truly infectious viral marketing initiative. For the moment the platform that all the charterers (and not only) of Italy will be able to evaluate directly at their premises is the ForSte 20D installed on Iveco Daily, step 2900 with removable basket. This platform is enjoying incredible success on both the Italian and foreign markets, promising to become a leading product in our range, as has been the DA320 for several years. 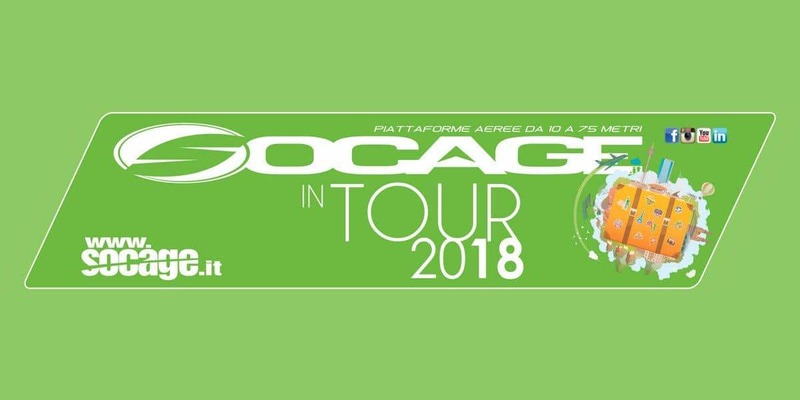 As a real Social campaign it will be possible to follow the stages of the Socage in Tour 2018 on all our channels to the hashtag # SocageinTour2018 and among the news of our website www.socage.it. Andrea this year will make the project even richer in content by making short “FocusOn” videos on the specific technical features of the ForSte20D. The videos will always be available in real time so you do not miss an update and to allow everyone to know in depth this platform. To experience live the ForSte20D directly at your office write to info@socage.it and make an appointment!